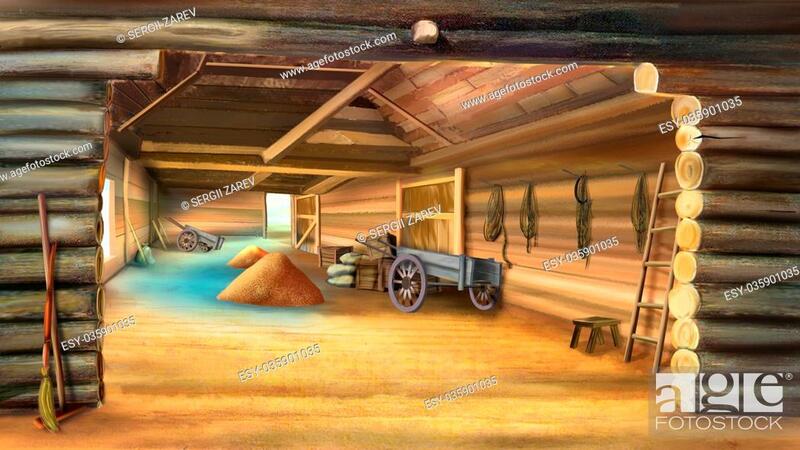 Foto de stock - Barn with Grain in a village. Wooden cart. Digital painting, illustration in Realistic Cartoon Style.